Celebrating its fifth season this summer, Movies in the Park is Grand Rapids’ premier outdoor film series. 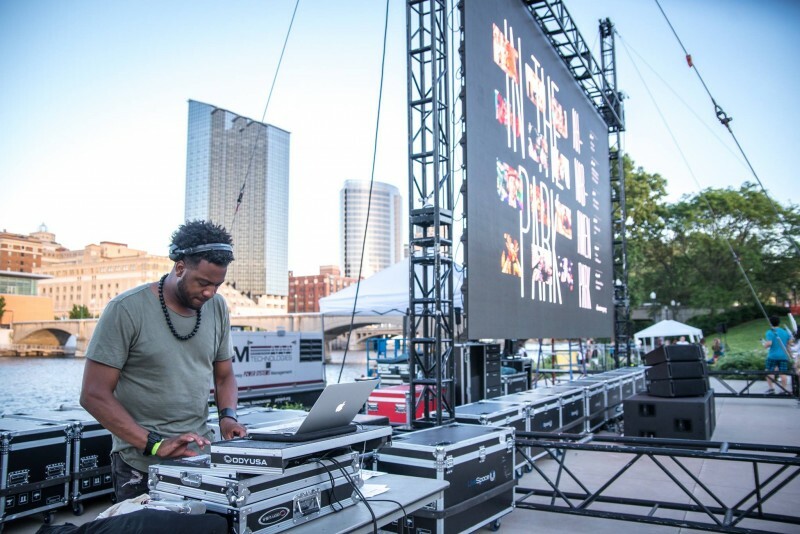 Every other Friday from June to August, the community is invited to spend an evening of free activities in Ah-Nab-Awen-Park, hosted by Downtown Grand Rapids Inc. (DGRI) and partners. DGRI is a community-powered organization in charge of city building and place-management in the heart of downtown Grand Rapids. Over the years, DGRI has made it their goal to continuously enhance the experience of these events. This season, DGRI has added several new features, including a 400-square-foot LED video wall, which allows the films to start earlier in the evening. Because of this new video wall, every Movies in the Park will also offer a double feature with the first movie beginning at 7 p.m. for family-friendly audiences and the second starting around 9:30 p.m. for a more mature audience. These double features give the community the chance to watch a variety of movies for all ages. New this summer, WYCE’s Gabriella de la Vega will host and emcee alongside DJ Adrian Butler during the pre-film activities, beginning at 6 p.m. Continuing their tradition from last year, DGRI is also offering alternating nights of Spanish and English subtitles for those who speak Spanish and have hearing impairments. On July 7th and August 4th, Spanish subtitles will accompany the films. English subtitles will be added to the films on July 21st and August 18st as well. Movies in the Park does not only benefit the community by providing people with a chance to see feature films under the stars, but it also helps the Downtown economy. Last year more than 23,000 people attended the summer film series and an estimated amount of $445,945 was spent at Downtown businesses, according to their website. 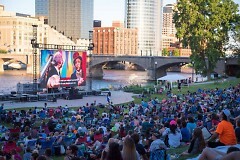 All films are shown at Ah-Nab-Awen Park in Downtown Grand Rapids and are free to the public. Pre-movie entertainment starts at 6 p.m. with a double feature at 7 p.m. and 9:30 p.m. To best enjoy the evening festivities, remember to pack blankets, chairs, food, and beverages. There will also be local food vendors on-site with additional appetizing choices for the public.